Violators who defy the enforcement of sharia law will reportedly face punishment from the religious police. Government officials in the Indonesian territory of Aceh are now requiring all Muslim flight attendants to wear a hijab when flying into the region’s airport. Violators who defy this enforcement of sharia law will face punishment from the religious police. The government reportedly sent a letter to the various airlines who use Aceh as a travel hub to notify them of the change. “All female stewardesses must wear a hijab in accordance with the rules of sharia,” the authorities wrote in the letter. Several domestic airlines responded with approval, noting they will comply with the new policy wholeheartedly. However, not all carriers appear thrilled by it. Malaysia-based companies AirAsia and Firefly, who operate frequent flights into Aceh, say they plan to replace their female crews with all-male crews in order to avoid conflict. Probably a smart move, given that officials are planning to come down hard on violators. “If a Muslim crew member fails to comply, we will reprimand her. If she does it repeatedly, I will order police to nab her” said Mawardy Ali, a local government leader. While non-Muslim flight attendants appear to be exempt, it’s unclear how much leeway there is in the new policy. The new rule mirrors the religious laws that govern Aceh, a unique territory which operates independently of the rest of Indonesia. Similar to Saudi Arabia and other conservative Islamic countries, women in Aceh are required by law to wear hijabs while in public. Apparently, people began complaining when Muslim flight attendants stopping over in Aceh for short layovers chose to ignore the rule. The Aceh government decided to issue the new regulations to clear up any ambiguity and prevent women from baring their heads – however briefly – while in between flights. “I hope the airlines respect the uniqueness of Aceh where sharia is implemented,” Mr. Ali cautioned. Interestingly, Indonesia is not the only country in the region to inject Islamic law into the airline industry. 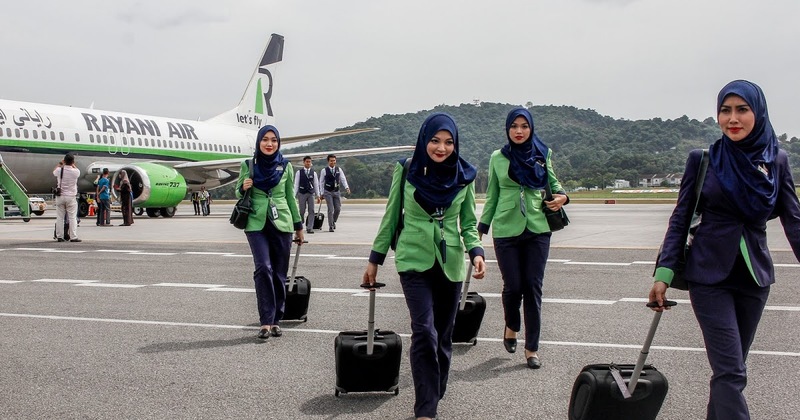 Back in 2015, neighboring Malaysia launched Rayani Air, the nation’s first “sharia-compliant” airline, and only the fourth of its kind in the world. Rayani Air mandated that Muslim flight attendants cover their heads, completely prohibited alcohol on its flights, and served only halal food. Although Rayani created quite a bit of buzz when it opened, it didn’t take long for the sharia-compliant airline to lose its appeal. Ironically, it had nothing to do with the dress code. Critics accused the company of focusing too much on religious customs and neglecting other important aspects of operating an airline. Local news reports documented numerous safety violations, and interviewed passengers who complained about lengthy delays, cancelled flights, and amateur-looking handwritten boarding passes. Some pilots downright refused to fly the planes because they were kept in such poor condition. Rayani ceased operations in 2016. While some are confident that sharia-compliant airlines are destined to remain relegated only to highly-conservative Islamic countries, others aren’t so sure. They point to research showing that Islam will soon overtake Christianity as the world’s largest religion. With this growth in Muslim population, they worry the influence of sharia law could expand along with it. Would you have any issues with flying on a sharia-compliant airline? Won’t be long now – Islam is taking over. Think not? Already encroaching … money talks so morals and ethics walk … went to Caesar’s Palace in Las Vegas this week for a conference–Oriental decor hung all over the entry and first floor–to celebrate China’s month long new year–no umbrellas in the cafe bc Chinese superstition–internal subhotel specific to Orientals. Signage co-written in some oriental language Specific dept to serve only Orientials… not Canadians, not French or other Europeans though… Offensive. Oriental spicing/side dishes in every restaurant /buffet even on traditional European/ American foods. That airline will NOT be serving you, the passenger, they will be serving their warped sharia values and forcing you to endure them. NO. Won’t fly it, do not visit these countries or cultures, don’t shop their stores in the US or buy their products. Don’t kid myself that these cultures are disposed of when their people appear to become politically/socially correct —it’s just for appearances. Your bigotry shows by using the term, oriental. Businesses cater to the groups that use them the most and the Chinese are not muslim. It would be good of you to gain some knowledge of the world around you before condemning a group. What are you afraid of, your God will protect you. David Griffith. Why is it bigotry to refer to some one from the orient as an oriental? Is it bigotry to call some one from America an American? Or to some one from Europe as a European? Clay – nice try, but no, Islam has less of a concept of taking over than Christianity. thank you! funny how they always forget that! I simply wouldn’t fly an airlines that put religion before safety. I do pray for the those required to abide by these laws by force rather then choice and that Christian women don’t bow to these laws of man, not of God. I agree with you and I will not be flying that airline. why is it unsafe for a Muslim flight attendant to wear hijab … that is ridiculous and ignorant. Actually it is God that keeps us safe … so your statement confuses me. If the airlines or any company is focusing on religious garb, what else are they more interested in then the safety of their customers. It’s not the wearing of the garment, it’s the mandatory wearing for religious reasons. I would feel the same if owned by the Amish and required their employees to abide by their religious beliefs first and for most. No one said it is unsafe for them to wear the hijab. What was said was the airline focused more on that than they did safety. Maybe you should read the article again. One : I refuse to fly anybody’s Sharia airlines. Two: BS Sharia is baloney. women become properties, not individuals. Well, Bali WAS looking good as a getaway destination because of the great rates but now, not looking good at all. Not being Muslim, I’d probably be exempt from any of their silly regulations, but I don’t want one cent of my money going to people who believe in Sharia. I can find one for you that is still not under Sharia Law. My red Chinese ex-wife stole my passport years ago and I have not applied for another, but I am thinking of going on a long hiatus and will need a passport unless I plan to travel as a stowaway and an illegal alien. Good point, Juan. Of course, I don’t by from muslim countries or even muslim-owned stations, nor from Citgo because I don’t want Venezuela to get any of my money, but the refineries DO buy crude oil from wherever, so they may be getting some of my money, anyway. I MUST commute, if I plan to eat, and someone has to work to support all the socialists who don’t, so I’ll have to keep buying gasoline. 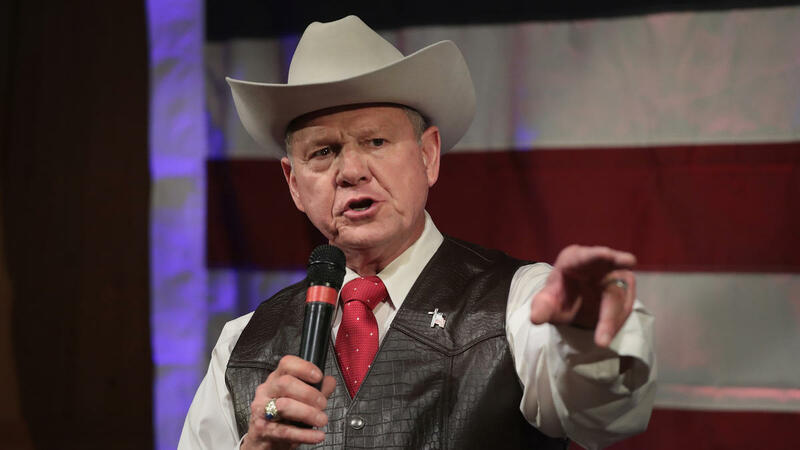 YEAH JOHN BOOGER BUTTERFLY OWINS U and UR DADDY DOTAR ORANGUtRUMP, MOORE, MOORE VILLAGE IDIOCY, HEY are U going to DC for the PARADE ??? So let me get this right … you are a Minister that boycotts Muslims? Sounds like bigotry to me … very ungodly! Maryam, it is not bigotry. You speak idiocy. I support whom I wish, and that does not include people who support the Muslim Brotherhood or Hamas or any other such group. I also do not support the “communist” government of Venezuela by buying from Citgo. It is foolish to support people who want to destroy you and your way of life. Don’t talk like an idiot and don’t presume to speak for God. You obviously do not know Him. He told us to have no conduct with some people, but I guess you didn’t read that. If you are a practicing muslim, you should be slapped for using the word bigotry. Repeatedly. Muslims are as openly and unashamedly bigoted as anyone else on Earth. Just because I need gas in my car does not mean that I am going to go by the rule of a Muslim by any shape. This is why I’m glad that President Trump has opened up our oil fields again. Is our world going to be perfect no. But I’m a Christian and Christians do not force anything on anyone . Patty, are you serious that Christians do not force anything on anyone? What about gay people not being able to join or become ordained in many sects? What about denying gay people the right to marriage? What about outlawing abortion? The list goes on. There are many Christians that are as fanatical if not more than Muslims. Obviously a non Christian or at best an uneducated one. Religious organizations can and many times do require members to follow rules, many created by the originator of the organization, not demanded by God. For example; smoking won’t keep you out of Heaven, but may get you there sooner. Drinking alcohol is not against biblical teachings, while drunkenness is. The Catholic Pope recently came out in support of Islam, a religion that disavows Christ as our savior. This was not representative of the church, but a mans opinion and personal views. As for abortion, taking the life of anyone, unborn or not, is a considered a sin unless doing so to defend or protect oneself or another’s life. Pretty sure a womans life or that of her family is not in danger of an unborn child, unless due to medical issues. David, the fact that you believe christian fanatics are more of a threat than muslim fanatics is disturbing. Name one terrorist attack in the name of christ. Name on country that doesnt give women equal rights that is predominately christian. That’s one of the many reasons I drive an electric car. More Liberal news, I though I could avoid this here!! No, angel, Joseph, the guy who posts these articles, likes to post things that will reveal the polarization between left and right. It makes for more interesting blogging, because if everyone agrees, it’s just dull, and nobody learns anything. Then, I guess he sits back and laughs at the arguments that proceed. Won’t ever get my business. Just the capitalist in me I guess! James – Why not? Do you choose an air carrier by cabin attendant uniforms? Why not pick an airline by its safety record? Does this mean you will never fly any airline, all airlines require a uniform. Also, many people here are writing about the airline and it has nothing to do with the airline, it is the city they are flying to that has set the rule. Read for comprehension before spouting off. You also need to study what capitalism is. Here is the thing: If you go into the Vatican, you must wear long pants. Women must be in pants or skirt/dress that goes below the knee. If it belongs to them, it is their rules. Same thing with the flights. If you don’t want the restrictions, don’t use the service. I vote with my money. There are plenty of Airlines that do not require a head wrap, hijabs, mantillas or scarves. So, if you fly on SWA or Jet Blue, you may get a lower fare and you may also laugh a little. Lord knows, there are enough people praying that the plane doesn’t fall out of the sky! I am waiting to hear from the feminist pastors here…. oh well. Covering hair is also practiced by Orthodox Jewish woman and even some more far right Christian groups. The difference is other aspects of this religious law code. As a woman would not travel on these airlines even if my head was covered.In these countries women can be killed for almost any reason. I am sure most Muslims are reasonable people, but radicals who believe in this law code treat women as disposable property. Happy to see someone post some thought, rather than a knee-jerk reaction. It is the FANATICS who are problematic, no matter what faith they proclaim to be. After all, under ALL THREE of the monotheistic faiths, I am under a death sentence if the fanatics of these faiths have their way, for my beliefs. However, to steal a line from MiB, “a person is smart, people are dumb” IOW, in a group setting, the mob tends to follow the system espoused by the least intelligent. Thank you for your thoughts John and what you have written is so true. 40% of the people follow Trump, one of the least intelligent people. I like your quote too. Individual thought is better than group thought. Capitalism promotes the individual, socialism and communism promotes the group. keep everything they need or want safely under their control. Keep in mind Sharia Law is in no way actually a part of the muslim faith. Its part of an archaic ancient culture from some regions that became muslim after the creation of it. Its not unlike how south and central american tribes integrated their local cultural and religious practices with the spanish catholic faith. Sharia law is not a part of the original muslim faith but a tool used by those cultures that before and after prefer to treat women as lesser beings and objects to use and abuse. you are absolutely wrong… Sharia actually liberated the pagan Arabs from practicing the killing of unwanted female infants, inhumane slavery practices. torture of animals, and all kind of all kind of other horrible practices of at that time. Sharia came directly from the Quran and the teachings of Prophet Muhammad. The only way there is any resemblance to the tradition pagan culture at the time is that he was an Arab, and so there is the practice of eating dates after fasting and other trivial issues that were acceptable in Sharia. It would do you well to learn from reputable sources. Regardless of the origin of Sharia Law, it is currently used to suppress women’s rights and therefore is a force of evil. If the women are forced to wear hijabs on planes, the men should be forced to wear them too. No different than a stuartist having the choice to wear pants or a skirt. Not any more than I would not eat at any restaurant, even serving Arab food, sans hairnet. Have you seen the get ups that we foist upon our Mennonite women? Or, even our nuns? Shameful the way that Christian men subjugate their women, popes and bishops this way! In any event, it matters not a smidgeon, because, http://jesusneverexisted.com w/ NO hat! After Vatican II habits with nuns were optional or greatly scaled back. Habits and special garb are to set you apart and let the outside world know who and what you believe. The head covering is within the precepts of many faiths. Catholic, Jews, various sects of Christianity and Islam. Like with all religions, the ritual and custom is to be followed by its adherents. If YOU don’t like the “stuff” related to the practice of a particular faith…then maybe you need to look around for something else. People can’t assume a faith is going to continually water down their doctrine simply to appease outsiders. Where would any of the current faiths be then? I have my beliefs and that is between me and my creator. If I wanted to proselytize (which I don’t) I would have to be sensitive to where the other person is coming from. Treat people like like people and love them til they give you a reason not too, then prayer for them!!! Question. Is the hijab a sign of religious freedom or oppression of women? Ned – it is the same basic concept as why the Amish women cover their hair. It is to save their beauty for their beloved. Nothing more. And if they choose not to wear it, nothing bad will happen to them, right? Every time there is a rule that says one “must” do something as a matter of law it is repression by authority. Whether it is good or bad for society I will let you figure out, but without a doubt it is repression of the individual. 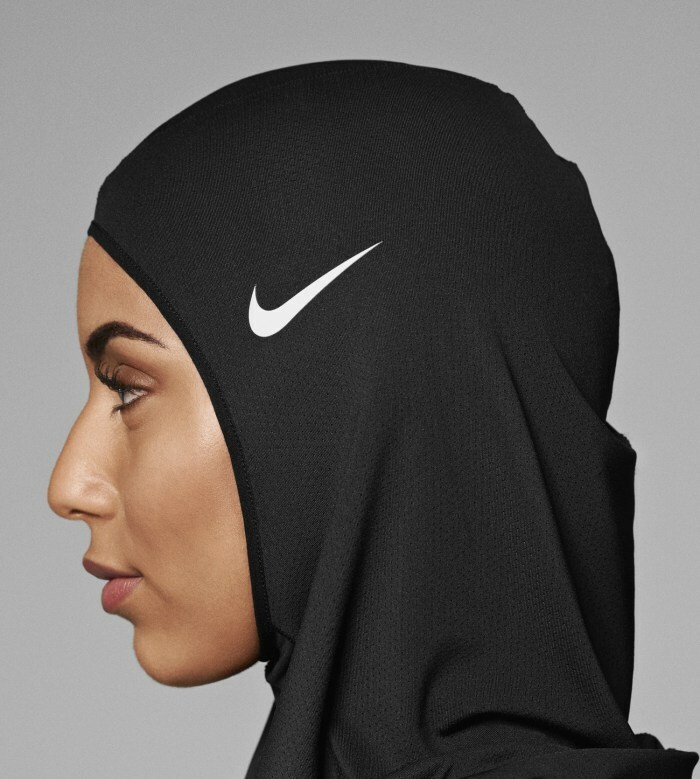 If it is a sign of modesty and if the woman is an adherent to the faith, than she should be allowed the CHOICE, The fact that ISLAM fanatics are allowed to have “religion police” is what concerns me. The early Roman Catholics were almost as bad. While I agree the radical Islam is going too far with it’s enforcement of Sharia, I believe that it is the choice of the people involved to either conform or fight it. Until the Muslim world itself can agree on what they truly want and stamp out the radicals, there will be no answer. Early Christianity was the same. you look at some of the radical bombing and shooting Planned Parenthood etc. Every religion has it’s nuts. LOVE ONE ANOTHER and let bygones be bygones. Do not assume that female non-Muslim flight attendants will be exempt. They will be the first to go down, as the sharia police will be eager to make examples of them to the rest of the industry. Do you really think the airline is hiring NON MUSLIM women? I think that is naive. The airline makes the rules about what the employees wear. True. This is how business works. As the customer, you have the right to decline using their services as well. Guess we will just have to see if this business will be successful. No! That is exactly why, we do not need to be doing business with the middle Eastern people! Their laws, an customs are very very different from us Americans, Europeans, an other cultures! No one who is not, of their culture, should not, fly or travel, let alone, visit their countries! It is too dangerous an not worth, free thinking people, time! If that is there, culture, then get as far away from it an isolate those, so they can stick to their own kind! I’m sorry but the truth needs to be said an adhered to! God bless you all! I think if the airline makes it a policy for all women and it does nothing to cover their faces and impedes safety, I don’t see why I wouldn’t fly the airline. However, as a white, christian, American women I wouldn’t be travelling in that area anyway. TOO Dangerous for me. I it is a condition of employment then the women have a choice to work for that airline or not. It’s the same thing here and people fighting about this or that that employers FORCE on people. YOU ALWAYS HAVE A Choice as o whether or not to work for that employer. If you don’t like their rules. work for someone else!!!! Safety first is the most important thing. Whether or not they have a dress code seems a moot point. That issue is between those concerned. (employees & airline). They Are BULLies Reminder Back in The 50s. that is NOT Gods Way. I have no problems with how anyone dresses or items that pertain to their beliefs. Anyone who claims to be Christian should not judge. It’s not their job to judge others. I have traveled the world and can appreciate other cultures and diversity. Travel is a wonder education. I have no fear of differences. Wow, so this is what the world is coming to now? Nothing has changed for the last 3000 years. Religion shouldn’t be all about what he or she is doing wrong, that is a human thing. Religion is now being used to create laws and tell people what and how they should live their lives. Look at the “Christians” who tell you if you don’t believe what they believe you can’t join them in “their” heaven. Lol, like I want to be around them after this life expires. Yea, every religion has its rules, but the early rules were made to protect one from harm. Now rules are made to make money for the rich. The rich make up rules to get richer. Yea, you can take your religion to the bank, just keep it away from me. Nature has its own rules. Learn by it. You might learn something new. I’d be afraid to fly on a Muslim-owned airline. Some of those fanatical Christians might try to blow it up. One of the things about being in America is that you can walk out a door of a airport and go for a beer and ham sandwich and no one pays any attention to you. Muslim women love being in America because they can get lost for a weekend and do what they would be stone to death in their own country. Years ago coming back from the Kingdom on a non Arabic airline the female passengers seem to be in tune when the jet left the Kingdom air space. Off came the Arab dress and on came the Western dress. Every thing that they felt was from the Kingdom was removed and they look and became human. I guess that was their way of telling the King, his rules and Islam to shoved it. I think their outfits look tacky. The colors do not complement one another well. While as a Chaplin, I am tolerant of all religious beliefs, I am not tolerant of taking anyone’s rights and enforcing a religions “laws” under the threat of punishment. To do so shows a lack of religious choice and insecurity of the leaders of such a religion.